1. 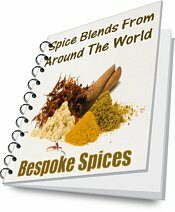 Spice Recipe Of The Month "Homemade Pumpkin Spice"
...for extra taste and freshness, gently roast the cloves and cinnamon first before grinding and combining with the other spices, this really cranks up the flavour and taste. 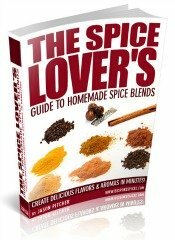 See cooking with spices for "step-by-step" info and photos on roasting and grinding spices. And as with all spice mixes and blends, store in an airtight jar out of direct sunlight. Now you've got your fresh pumpkin spice, what do you do with it? As it's nearly Thanksgiving why not try it with pumpkin pie? Directions: Preheat your oven to 200°C (390°F). Beat the eggs. In a bowl, combine the pumpkin, milk, salt, flour, sugar and pumpkin pie spice. Mix in the eggs, and if using, the nuts and pour into the pastry shell. Place in your oven and cook for 40-45 minutes. Let cool and serve with a little whipped cream. 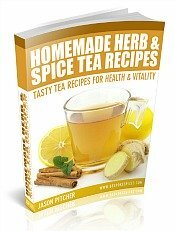 I've wrote an e-book with over 30 pumpkin recipes you may be enjoy. It's full of both sweet and savoury pumpkin dishes. All This For Only $7! With a 100% no questions asked money back guarantee if not completely satisfied. See the Pumpkin Recipe Page for more details and info.